Guys, creating a fashionable room is less expensive and easier than you think! It does not have to be loaded with super expensive items to make it look luxurious and stylish. You can totally transform your humble abode to a trendy, chic and sophistication space with just the right decor, a little bit of creativity and patience. So get creative and experimental with these exciting ways to change your old room into a gorgeous one! This is perhaps one of the easiest and most basic ways to amp up the look of your room. Add a few extra decorative pillows or cushions with the sleeping ones. Decorative pillows look lovely when styled properly with a balanced colour combination. How cool is this Chumbak Pink Polyester 14.9" x 10.2" Flamingo-Shaped Printed Cushion (Rs 995) from Myntra! Stick to neutral colour palettes and earthy tones. This will make your room look bigger and highly contemporary. However, if you think ‘pink is the new pink’, then go ahead and add a splash of colour! Just be careful to balance out the other objects in the room. We love this Wallpaper 4 Less Tortilla brown Marble Textured -Italian (Rs 3,499) from Amazon. You know what they say! Mirrors are auspicious and bring good luck when installed in a room. They also give an illusion of a bigger space and look very stylish and sophisticated. Plus, every fashionable girls needs a full-length mirror to admire her OOTD. This Athome by Nilkamal Gold-Toned Wall Mirror (Rs 4,999) from Myntra is the perfect addition to your room! If you have a monochromatic or a neutral vibe, pack a punch with a crazy coloured chair or a dressing table. This will break the monotony and increase the perceived brightness of the room and draw attention to the striking object you want to flaunt. Artwork is essential if you want a polished and fancy room. Any type of artwork has the power to change a mundane and basic room into a beautiful and ravishing one! 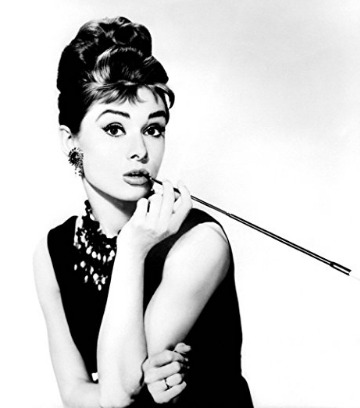 A beautiful Audrey Hepburn poster would also do fashionably well! This gorgeous Athome by Nilkamal Yellow Set of 2 Butterflies Wall Art (Rs 629) from Myntra is also an absolute steal! Even if you’re a fan of vintage and royal furniture, adding a modern one will be beneficial for you in the long run. A contemporary piece of furniture usually works well with any designs, home furnishing and even artwork. 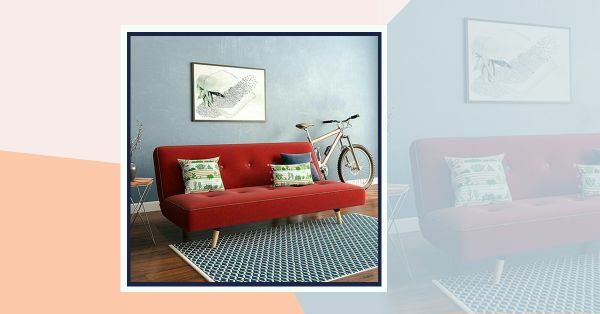 So if you want a style upgrade or a change in home decor, you don’t have to invest in new furniture as a modern piece will perfectly complement whatever you’re in for! 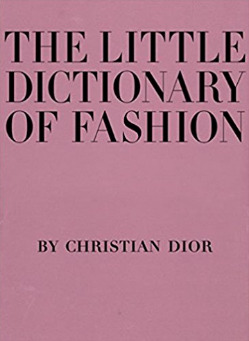 Ladies, books are totally in vogue and will never be out of fashion! It just brightens up the decor of the room and adds charm to a coffee table! Stack your favourite authors or some amazing books on fashion and see the change it brings to your room!